As a Denver area photographer for GROWING families a lot of my sessions this time of year are indoor sessions for newborns or children’s sessions in my own home. However not every session this time of year is indoor since I continue to shoot family and maternity sessions outdoors this time of year as well as the occasional children’s session. My first tip is to choose a location in the mountains. Most of our best mountain locations have beautiful evergreen trees that will add color and life to your photos. Selecting a location in the mountains during winter does have it’s challenges including making sure that the roads are clear and ice free and that your car can make it there. Your best bet for this is to keep the location closer to home with a location like Lookout Mountain in Golden or Flagstaff Mountain in Boulder rather than venturing too far into the mountains this time of year however if you are more confident on mountain road in the winter there are also some amazing locations further into the mountains as well. Having a view of the mountains can also give some color and beauty to your fall portraits! While choosing a spot with a mountain view may seem simple in the Denver area where most locations have some mountain views here are a few things to think about when picking your spot. Time of day: To produce the beautiful golden light that you see in many of my photos I shoot almost exclusively in the hour before sunset. However golden light is not the only reason for this choice. Because I shoot with the sun behind my subjects my shoots need to be this time of day as the sun is setting behind the mountains if you also want a mountain view. Distance from the mountains: This is a big one I find that people don’t think about when choosing their location. Often I have people choose locations that are in the Westminster or Arvada areas with a mountain view however it is not uncommon on more hazy days for the mountains to be barely visible in their photos at this distance. The closer we are to the mountain the more likely we are to have a clear view of them so I highly recommend locations in Boulder, Golden or other foothill spots. A few of my favorite locations for this are Clear Creek History Park, The Barn along Boulder Creek or Flatirons Vista. Another way to add a color other than brown to your winter photos is the take them near a body of water. Having a lake or river adds some beauty during this dull time of year. A few of my favorite spots for this are Standley Lake, Clear Creek, and Eastlake Shores Park. Another way to make sure your winter portraits have some beauty and interest is to choose a location with building or other architectural elements. While most people think a location in the city when they think of this there are actually many other options such as Cheesman park (yes technically in the city but more of a park structure.) with its beautiful stone pavilion, Highlands Ranch Mansion, or even Lakewood History Center. My name is Jennifer Tavera, the photographer behind Truth Photography. 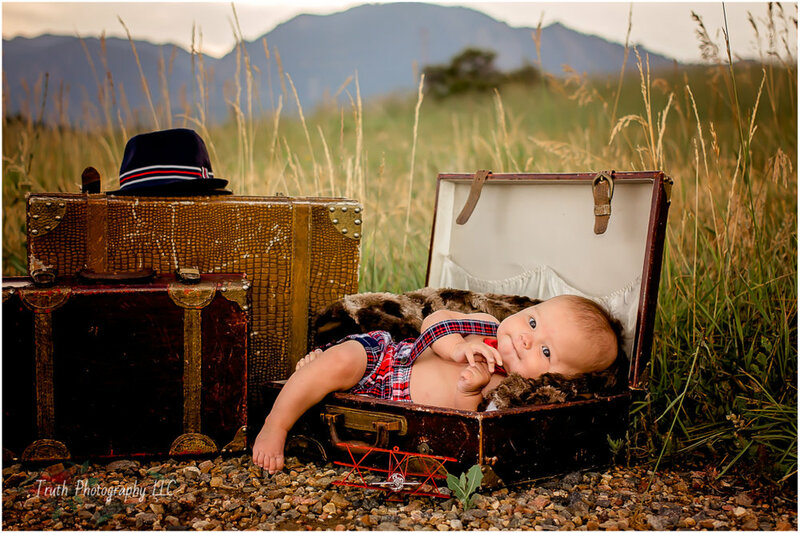 I am a Northglenn Colorado family photographer and gallery designer seeking adventurous, free spirited families. I believe that your life is epic and deserves to be captured with photography! I specializes in creating unique photo sessions that will be an adventure for your child or family and turning the finished portraits into beautiful wall art for your home. I can’t wait to photograph your next adventure! !